Part of the Swatch Group since year 2000, Union Glashütte was founded in 1893 in Glashütte by Johannes Dürrstein with the goal to offer fine German timepieces at the highest level while offering an excellent quality-price ratio. 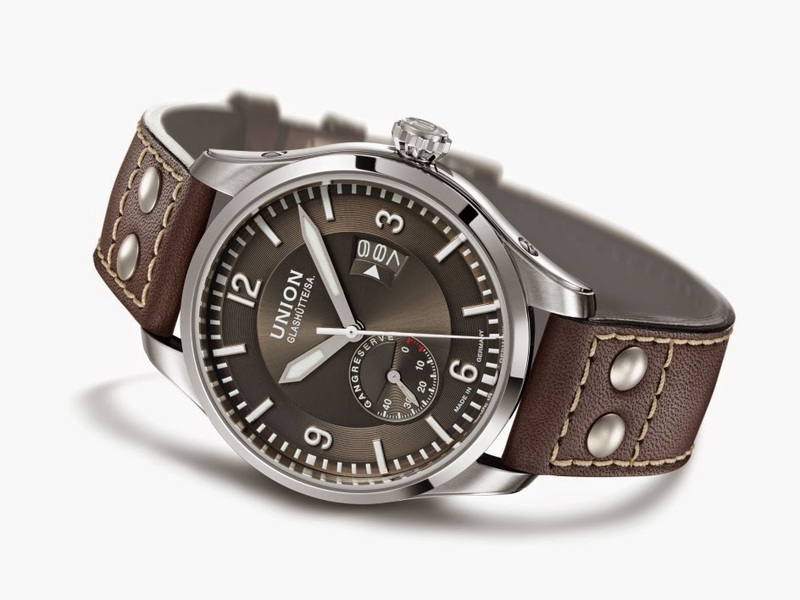 The latest addition to the Belisar collection of Union Glashütte is a masculine pilot watch, the Pilot Belisar Power Reserve. The 45 mm stainless steel case and the curved non-reflective sapphire crystal protect a domed dial with hour and minute indexes and numerals in white, which contrast against the black dial. The tapered hands feature Super-LumiNova along with the hour markers for easy reading even in poor light conditions. The dial design is completed by a sliding date display at 3 o'clock and the circular power reserve indicator at 7 o'clock with a power reserve of up to 42 hours. 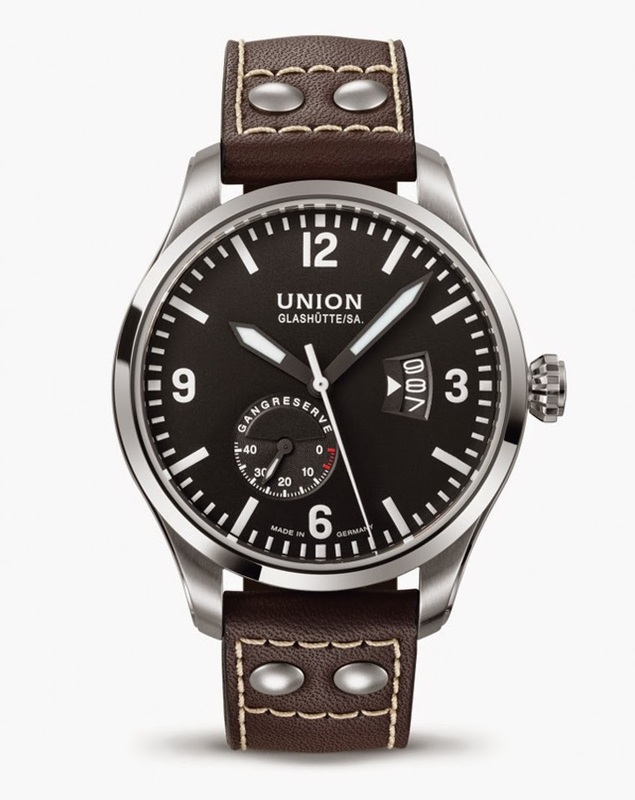 An alternative version with a gray-brown sunray dial is also available. The Pilot Belisar is fitted with the automatic Calibre U2897 - an ETA movement finished, assembled and adjusted in Glashütte with exclusive Glashütte components - which beats at 28,800 vibrations per hour. The watch is water resistant to 100 metres. Union Glashütte was founded in 1893 in Glashütte by Johannes Dürrstein with the goal to offer fine German timepieces at the highest level while offering an excellent quality-price ratio. 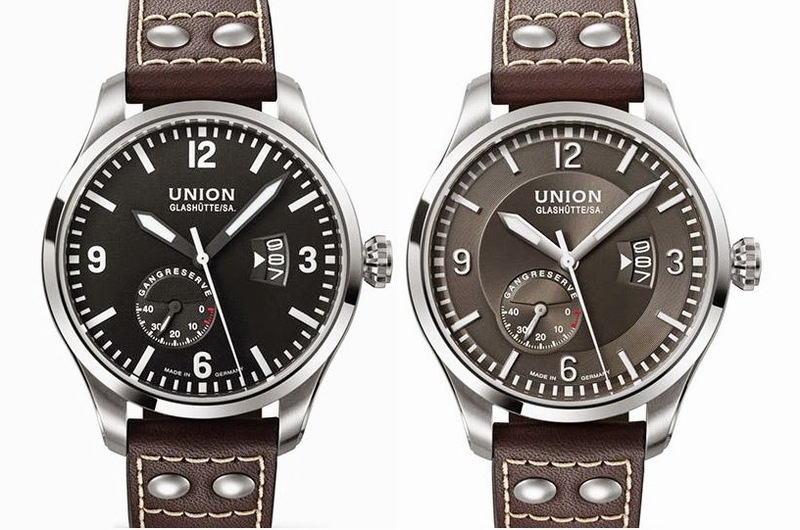 The latest addition to the Belisar collection of Union Glashütte is a masculine pilot watch, the Pilot Belisar Power Reserve. 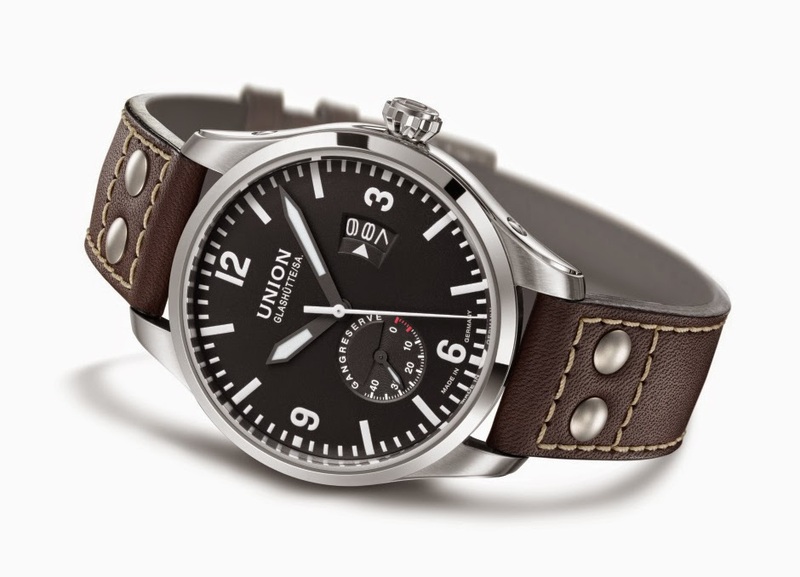 The Union Glashütte Pilot Belisar Power Reserve has a retail price of Euro 2,250.